Alumnus Matt Wilkins started Pedal Forward in 2012, a company that employs homeless people to make bamboo bicycles. Alumnus Matthew Wilkins’ family did a lot of biking when he was growing up, and he fell in love with it when he and his father went on a five-day bike ride from his house on Long Island all the way to Boston. Now the biomedical engineering major, who graduated in 2012, has plans to take his biking passion a lot farther than the the borders of the East Coast: all the way to Tanzania and Uganda. Wilkins founded Pedal Forward, a social enterprise company that employs homeless people to make bamboo bicycles, in 2012. A portion of the proceeds from the bicycles will go to school children and farmers in Tanzania and Uganda, and hopefully more places soon. “It’s combining my two favorite things which are bikes and building things, but at the same time it has a huge impact to a ton of people around the world,” Wilkins said. Wilkins and his business partner Chris Deschenes, who graduated from the GW School of Business in 2014, began a Kickstarter two weeks ago to begin manufacturing the bikes. With two weeks left to go, they have already raised more than half their goal of $40,000. With the money they will purchase a manufacturing warehouse in either Long Island or the Bronx. They will also hire three to five homeless people to assemble the bikes through the Back on My Feet organization, which helps homeless people build confidence and self-esteem. To support the economies in Tanzania and Uganda until they are able to manufacture bikes there, Wilkins and Deschenes will buy bikes from local vendors to distribute to orphaned children and farmers who need transportation to sell their goods at markets. Wilkins got the idea to make a bamboo bike in his senior year manufacturing class where he was assigned the task of making something unique. Wilkins jump-started his plan when the idea for bamboo bicycles won best business idea at the Clinton Global Initiative conference in 2012. 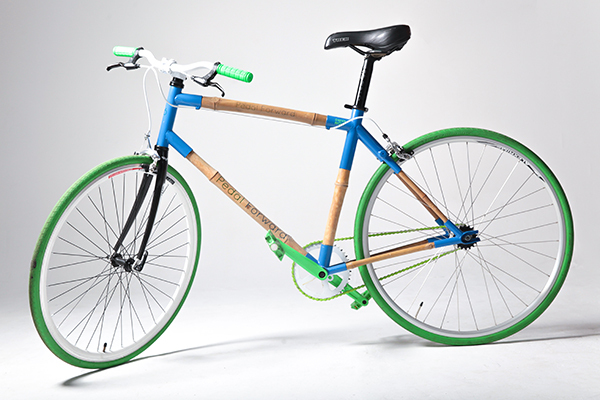 Wilkins and Deschenes worked for the next three years on perfecting the prototype of bamboo bike. 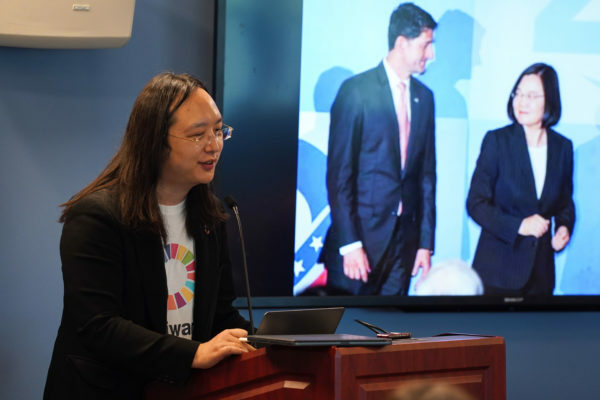 During that time Wilkins also received his master’s degree in biomedical engineering from GW, taught a course on social entrepreneurship through the honors program at GW and began working at the healthcare startup CredSimple, where he still works full time. The two were able to continue making prototypes thanks to grant funding through business competitions like the Rice University Social Venture Award, where they won $10,000 in 2015. 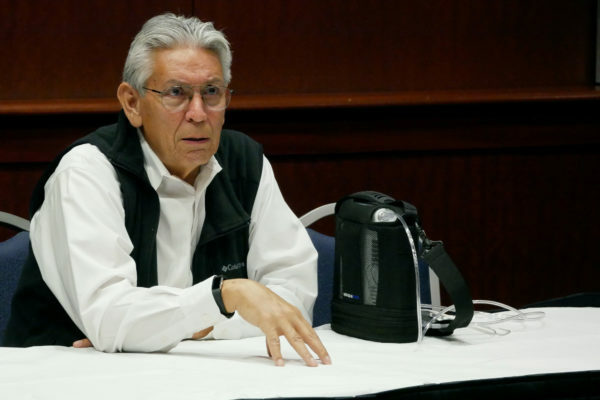 During the prototype phase, Wilkins said he conducted “hundreds of in-depth interviews with customers” to perfect the product and cut the hours it took to assemble the bikes from 40 down to two hours. Wilkins said that bamboo has a low carbon footprint and has more “tensile strength” than steel, meaning it is lighter and can handle more stress. Bamboo is also cheaper to work with than aluminum, which is also common in bicycles. Wilkins said that one of the more rewarding aspects since starting Pedal Forward happened at a Kickstarter launch party he had recently in New York, where several homeless people approached him and asked to work with him, after reading about the event in a local newspaper.